The new version of Crackle, 5.0, lets Apple Watch owners control playback or receive notifications. Owners of an Apple TV, meanwhile, can now use AirPlay to push video to a bigger screen. The app as a whole has finally been optimized for iOS 9, and overhauled with a new interface, intended to make it easier to watch and browse. An "Always On" auto-play feature can start playing video on launch for instance, and the "Watch Now" channel guide should make it easier to find new content. Search now includes filters, and while browsing the app will keep playing video in a thumbnail view. 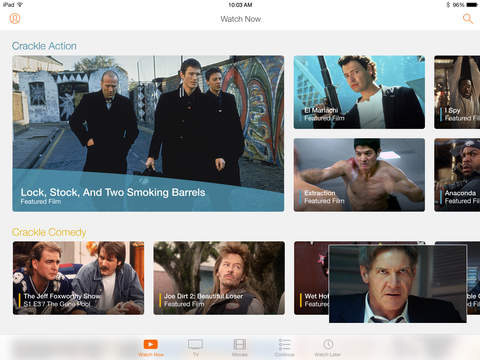 Crackle is a free download, and runs on any device with iOS 7.1 or later. The service itself is also free, but ad-supported. 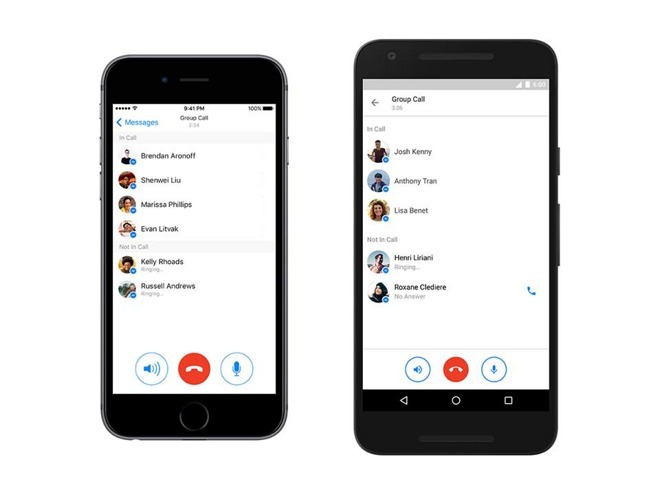 To start a group voice call in the iOS or Android Messenger apps, people must first start a group conversation, then tap on a new phone icon. A subsequent screen lets users manage participants. The feature is gradually deploying now through April 21, Facebook's David Marcus said. The iOS Messenger app is free for any device with iOS 7 or better.